Born into a prosperous land-owning family on a country estate 300 miles south of St Petersburg, Modest Musorgsky first appeared on the Russian musical scene as an elegant 17-year-old army offcer with a dilettantish interest in the arts. A year later, in 1857, he was taken under the wing of Mily Balakirev, an ardent proponent of a genuinely Russian art as well as a fanatical admirer of Berlioz and Liszt. Like the other composers who joined Balakirev’s circle and became known collectively as ‘The Mighty Handful’ (moguchaya kuchka) – Rimsky-Korsakov, Borodin and César Cui – Musorgsky gained from the master’s enthusiasms yet missed out on a systematic training in harmony and counterpoint, a defciency which his idiosyncratic genius turned to good use but which was always to be held against him. Musorgsky’s early works, written under Balakirev’s influence, already show a striking ability to give a visual image a strong musical form: the Intermezzo in modo classico for piano of 1862, later orchestrated, was inspired by a winter scene with a group of peasants plunging and tumbling through snow drifts. Yet it was not until he came in contact with other artists from non-musical spheres that Musorgsky began to focus his thoughts upon creating ‘an independent Russian product, free from German profundity and routine … grown on our country’s soil and nurtured on Russian bread’. 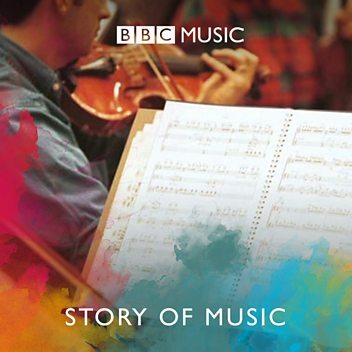 He regarded his 1866–7 tone-poem A Night on the Bare Mountain as exactly that, although both Balakirev and Rimsky-Korsakov found it too unorthodox. Even more significant was Musorgsky’s determination to render an artistic reproduction of Russian speech and intonation. It began with a highly original sequence of songs, progressed with his unfinished attempt to set every word of Gogol’s play The Marriage as an opera and reached its high water mark in the original 1868–9 version of Boris Godunov; a thorough revision of Boris in 1871–2 inclined more to conventional modes of operatic song and aria, making it more acceptable for presentation on the Imperial Russian stage. With the successful premiere of Boris Godunov in 1874, Musorgsky’s future might have seemed assured. Yet the heavy drinking that dated back to his army days, severe bouts of depression and an impoverished lifestyle following the loss of the family fortunes with the emancipation of the serfs militated against a steady output. His highly original piano tribute to an architect friend who died in 1873, Pictures at an Exhibition, was a masterpiece unacknowledged in his lifetime. He also took his individual art of song-writing to new heights with the cycles Sunless (1874) and Songs and Dances of Death (1875–7); but his operatic ambitions were compromised by a desire to relax with another Gogol comedy, Sorochintsy Fair (1874–80), alongside work on another ‘national music drama’, Khovanshchina (1872–80). Neither was completed by the time of a fatal stroke in February 1881. Just before his death Ilya Repin painted the tragic image that we always associate with Musorgsky; the works, whether in their incomparably vivid original form or in the well-meaning revisions by Rimsky-Korsakov and others, tell a different story. 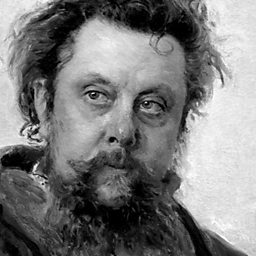 Modest Petrovich Mussorgsky (Russian: Модест Петрович Мусоргский, Modést Petróvich Músorgskiy,; 21 March [O.S. 9 March] 1839 – 28 March [O.S. 16 March] 1881) was a Russian composer, one of the group known as "The Five". He was an innovator of Russian music in the romantic period. 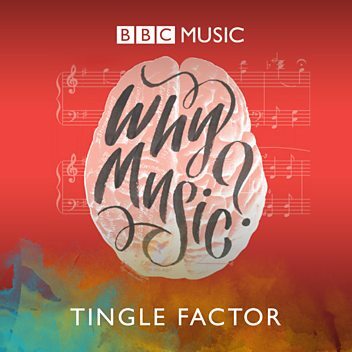 He strove to achieve a uniquely Russian musical identity, often in deliberate defiance of the established conventions of Western music. With Ashley Fripp (piano). Leeds International Piano Competition 2015, semi-final. 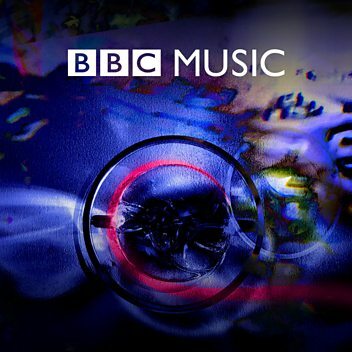 Recorded 8 September 2015. 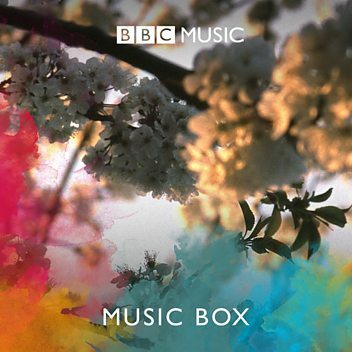 This piece is performed by the BBC National Orchestra of Wales, conducted by Thomas Søndergård. Stephen Walsh considers recordings of Mussorgsky's Pictures At An Exhibition and recommends a favourite. 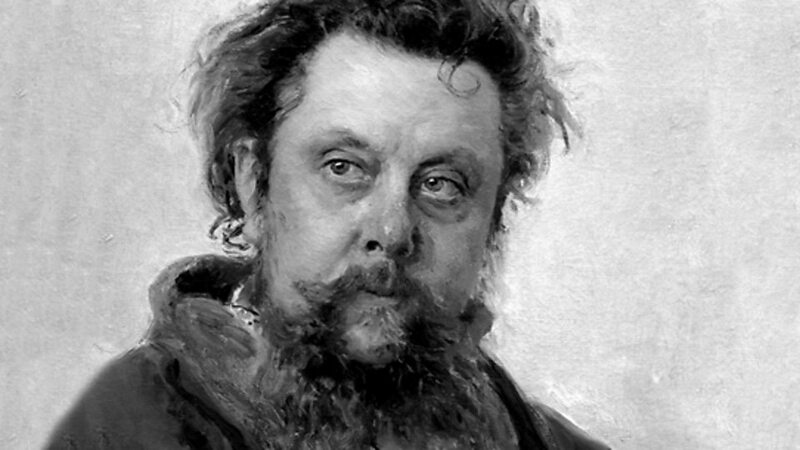 Listen to an excerpt from Mussorgsky's Pictures at an Exhibition.